Hotter Than July is Detroit's Annual pride celebration! Since 1996, Detroit's Hotter Than July! (HTJ) has provided one of the most unique experiences in North America. It serves as both a social barometer for community development, while also providing a multidimensional forum to advocate for equality and social justice. This year's theme for HTJ is "Kings and Queens". Every year during Hotter Than July we come together for our Annual Summit where we have open dialogue about issues that affect us all. This year the summit will take place on Friday, July 26th. This is an all day event starting at 9am and concluding at 4pm. Dr. Reginald Blockett is a assistant professor of higher education at Grand Valley State University. His teaching and scholarship examines the sociocultural experiences of lesbian, gay, bisexual, trans*, and queer collegians of color broadly, and Black sexual cultures specifically. 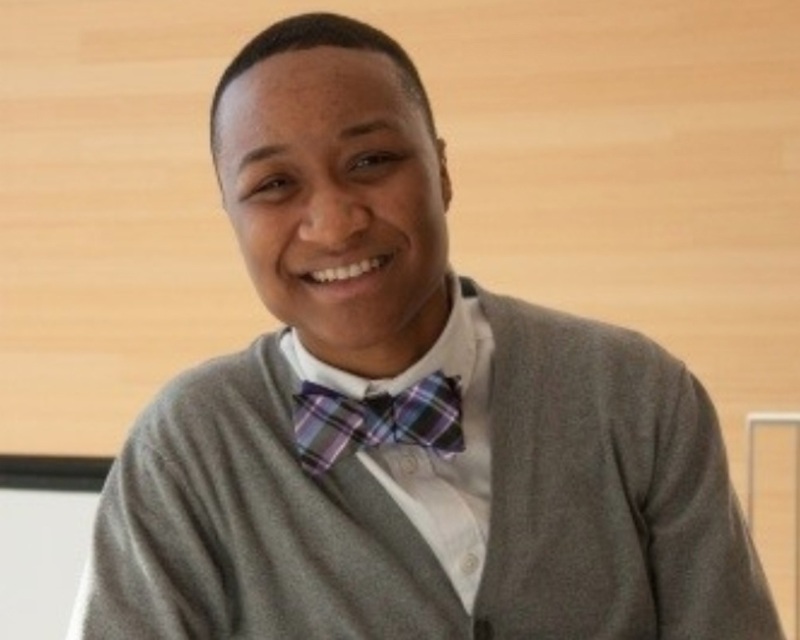 Dr. Blockett’s current research agenda mobilizes intersectionality and queer of color critique to understand the worldmaking practices employed by Black queer men within postsecondary contexts. He is a proud native of Detroit, Michigan, where he first learned the value of family, community, and education. Prior to joining the faculty at Grand Valley State University, Dr. Blockett worked as a visiting assistant professor in the Neag School of Education at the University of Connecticut. He has worked professionally in higher education and student affairs at Rutgers University as a residence life coordinator and as an instructor to first-year women students at Douglass Residential College. Dr. J. Lloyd Allenis an Assistant Professor in the School of Social Work at Wayne State University in Detroit, MI. His current research agenda examines parent-GLBT child communications about sexual identity, and sexual behaviors, especially in a time of increased HIV/AIDS diagnoses, suicide, and bullying. Dr. Allen also has over 10 years in the social work field providing micro, mezzo, and macro services at various health and mental health programs. In these roles, he has provided individual, family and group therapy to individuals battling mental and substance abuse issues, family issues, and issues related to sexual orientation. He has also provided consultation services to organizations and groups that work with GLBT individuals in an effort to ensure culturally competent treatment and care. When not in the classroom, Dr. Allen loves to play his clarinet, read, explore the city and culture of Detroit. An assistant professor in higher education leadership at Oakland University, T.J. Jourian earned his Ph.D. studying how diverse trans masculine college students conceptualize masculinity. He is a queer Middle-Eastern Armenian immigrant trans man, as well as a social justice educator, learner, activist, and speaker. In 2005, T.J. was featured in the Sundance docu-series TransGeneration, depicting a single academic year in the lives of four trans college students at four different institutions. He has trained, consulted, and spoken at over a hundred college campuses, conferences, and community organizations nationally through Trans*Formational Change. T.J. also co-founded Trans*forming Higher Education, the only collective by and for trans educators in higher education and student affairs. His research and advocacy center queer and trans people of color in achieving the democratic and liberatory potentials of higher education. Nguvu Tsare’s name means “defend your power” in Swahili and in a sense, that’s what he wants to do for the residents of Detroit. Tsare said too many Detroiters are being left behind as the city undergoes a revitalization. A Lansing native and lifelong activist, Tsare first moved to Detroit 10 years ago. Alex Montgomery is a visionary educator, writer, and speaker passionate about queer people of color communities, including nonbinary people and QPOC Greek life, as well as uplifting voices of QPOC in higher education spaces. They work at Grand Valley State University as the Assistant Director for the Gayle R. Davis Center for Women and Gender Equity. A scholar of critical race, queer, and critical masculinities studies, they completed master programs in public policy and intersectional women’s, gender, and sexuality studies at Brandeis University. Alex is a member of Alpha Psi Kappa Fraternity, Incorporated, a non-collegiate, non-profit social and service organization for masculine of center individuals. Outside of work, Alex enjoys traveling, listening to 70s soul music, and going on adventures with their cat and two ferrets.